Team up with MCSI to support white shark research and conservation efforts: Donate to MCSI in support of Northeastern Pacific white shark research and conservation efforts and receive the most recent edition of the Guadalupe Island, Mexico white shark photo-ID book. 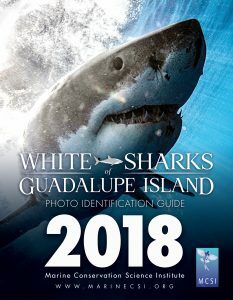 The 2018 edition is spiral bound with color photos of the 261 identified white sharks currently in the Guadalupe Island photo-ID database. A great field guide for identifying sharks while out at Guadalupe Island as well as a great photo book for admiring the amazing white sharks of Guadalupe Island! 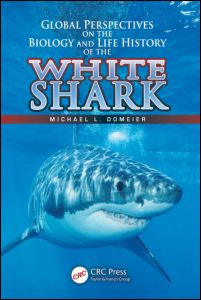 This book is available with donation and helps support MCSI’s white shark research and conservation efforts. MCSI’s Guadalupe Island photo-ID project has been monitoring the white sharks of Guadalupe Island since 2001. This project is an important tool in tracking the visitation patterns of individual sharks as well as monitoring the status of the overall population. It is a key component in the conservation and management of northeastern Pacific white sharks.